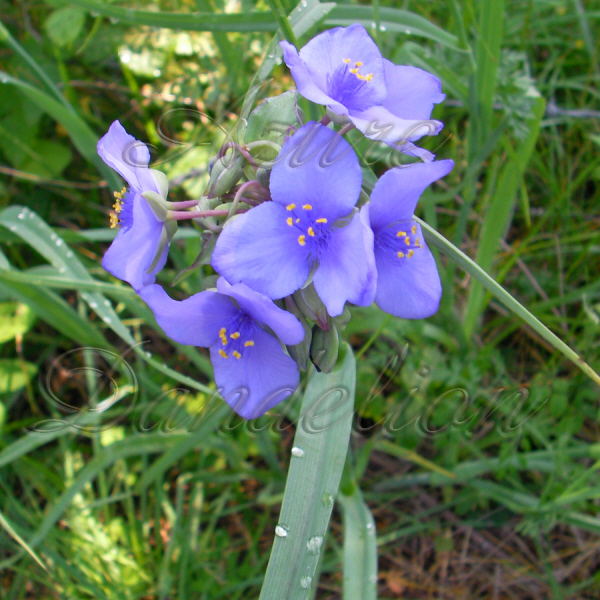 The spiderwort is blooming with pretty little blue flowers. 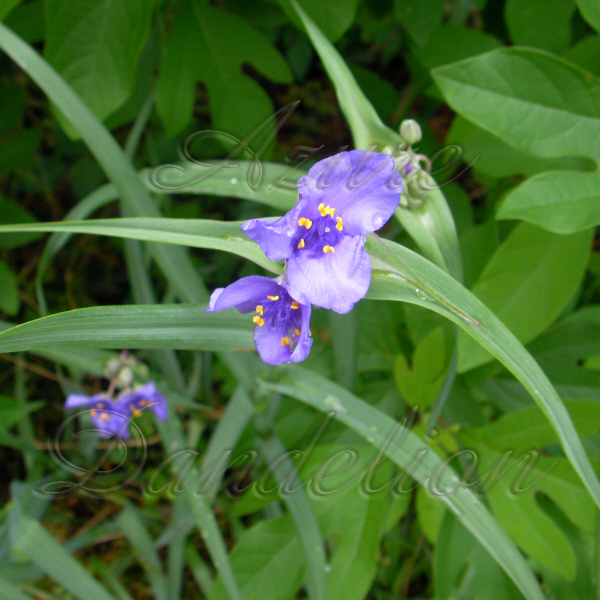 This species of Tradescantia is native to the Ozarks. 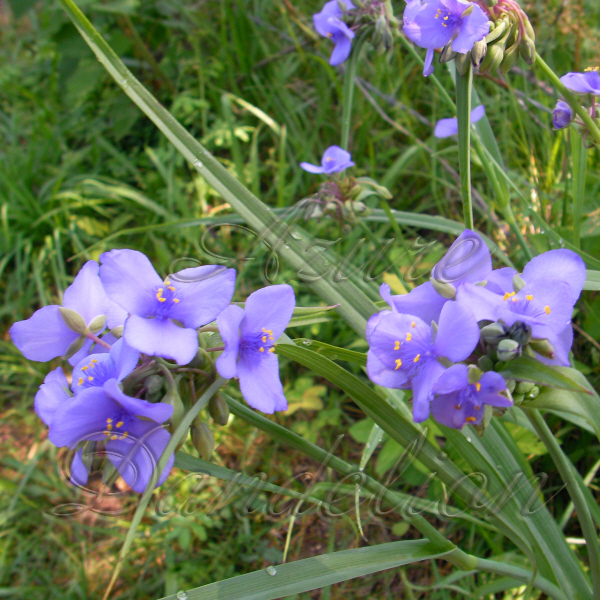 Virginia Spiderwort can be found in most of the eastern half of the United States as far down as Alabama as well as the Ontario region of Canada. 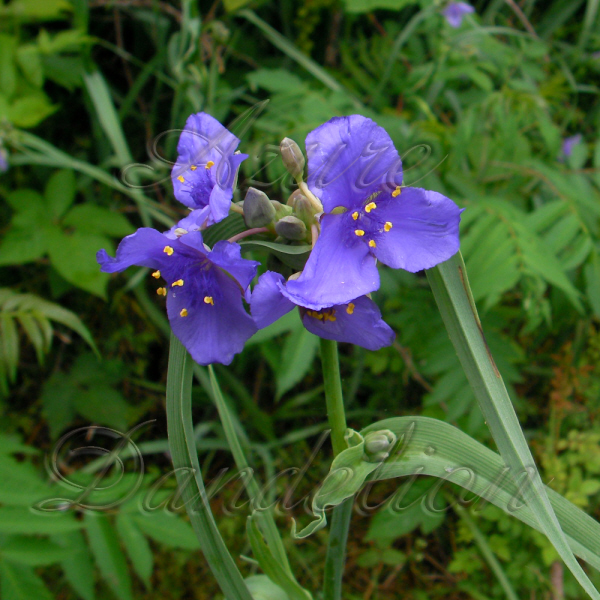 It was introduced to Europe in the early 1600’s and used as a garden flower. These beautiful flowering perennial herb plants grow voluntarily at the edge of woods and undisturbed fields. The leaves are long and blade shaped. 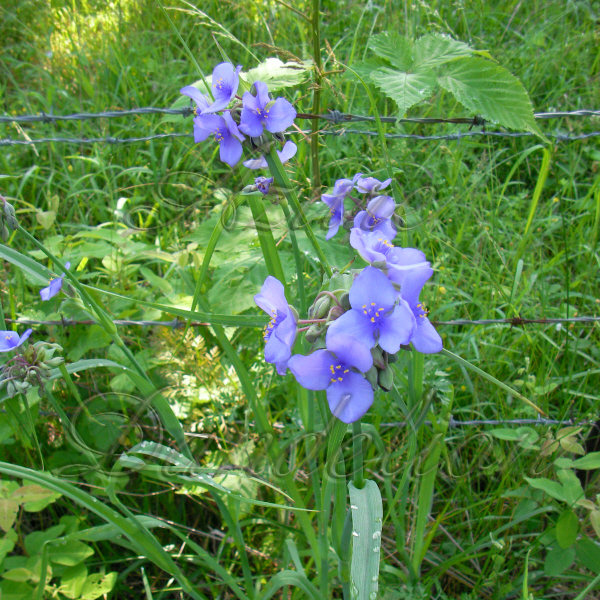 The flowers of Tradescantiaare white, pink or purple but most commonly bright blue, with three petals and six yellow anthers. 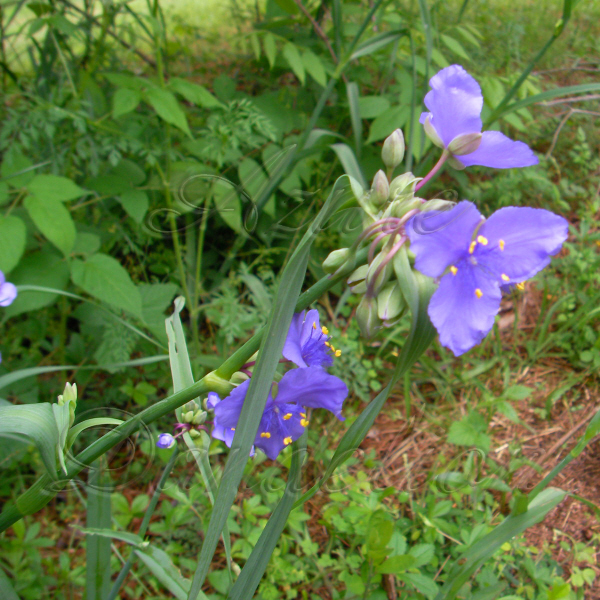 The cells of the stamen hairs of some species of Tradescantia are colored blue. When exposed to sources of ionizing radiation, such as gamma rays, the cells mutate and change to a pink color. They are one of the few tissues known to serve as an effective bioassay for ambient radiation levels. the blooms usually open with the morning sun and close by afternoon unless it is a cloudy day then the flowers bloom longer.